Jindal’s tapered Mono Pole structures are designed for quick and easy installation and offer a lighter structure weight. Galvanized Power distribution poles are used for the over head power distribution network of Low, medium & high voltage lines. The height and span requirement are considered for the structural design. Shafts can be standardized and line deviation can be countered with use of guy wires. 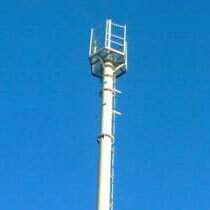 For particular location an inclined pole for support can be considered. 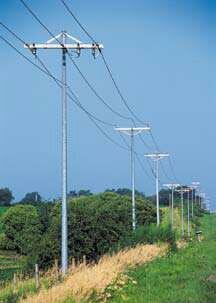 Galvanized power distribution poles offer a better edge over other type of poles due to the longer life of the pole.